I hope that everyone enjoy’s their weekend! I know a lot of you will find your temperature’s dropping to October temperatures, but that is okay. This time of year is when you need a taste of fresh autumn air. Unfortunately, the weather will not make it’s way here in to Florida and we are suppose to be sweltering as usual. 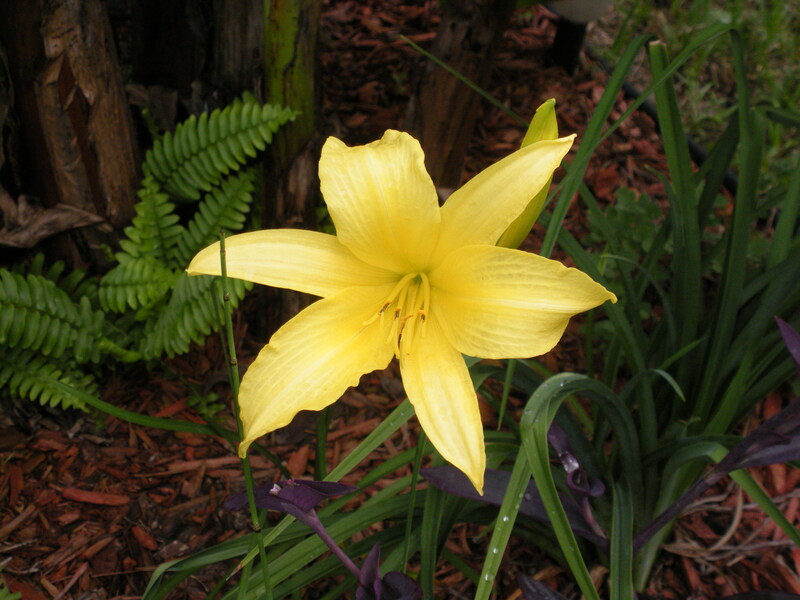 I surprisingly have a Daylily that has staretd to bloom again and it’s not Stella D., I believe this one is ‘Hyperion’. ‘Penny’s Worth’ has started to bloom again to, so yay. These two have never rebloomed in Kentucky, maybe they were to young when I planted them or it is because they bloomed a month or two ahead of when they bloomed in Kentucky. I am glad to see the showing their faces again; Daylillies are great plants to have. This entry was posted on 29 August, 2009 at 4:31 am	and is filed under General. Tagged: Daylily, florida, jacksonville, northeast florida, st. augustine. You can follow any responses to this entry through the RSS 2.0 feed. You can leave a response, or trackback from your own site. Cooler temps would be welcome here though! What a great day lily. I would welcome the 60’s with arm’s wide open. Thank you! You may be on to something, I just flooded that area a week or two ago and no they are at it again.